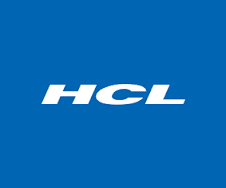 International Voice Process Jobs | HCL Walkin Drive | 17th, 18th April 2017. HCL Walkin Recruitment in Chennai for Graduate students as Associate, Senior Associate – (NonTechnical). Freshers and experienced candidates are also eligible. Candidates should have Good knowledge in Banking Basics. Preparing According to the HCL Placement Papers will make sure that Applicant is well prepared to face the Competition. These days Competition is very heavy for IT Jobs. Applicants have to tighten up their preparation by framing a planner which will be comfortable for them. Following the planner in their own style and along with that HCL Test Pattern so that they can prepare confidently and can easily crack the Recruitment of HCL Recruitment 2017. Education: Any Graduate ( No Standing arrears). Experience: Freshers, Experienced in any voice process. Good command on English & Hindi is Mandatory. Good knowledge in Banking Basics. Good Comm Skills in Hindi. Provide timely feedback to internal customers via phone, e-mail, or another form of communication. Use a high degree of patience and problem-solving techniques to solve incidents. Performs additional duties as deemed necessary to achieve and produce a high-quality customer service. Aspirants can attend for the walk-in drive for HCL Recruitment 2017 which is held in Chennai on 17th, 18th April 2017. Here we are provided the sufficient details like Walk-in Date, Time, and Venue. So candidates who are interested they can directly attend for the below-mentioned venue. Here is the exact place to search the accurate Details about HCL Walkin Recruitment in Chennai. We hope that the information is useful for your job search. Keep visiting Freshers Jobs for regular Job Updates.